Pound Hound Wines  P.O. 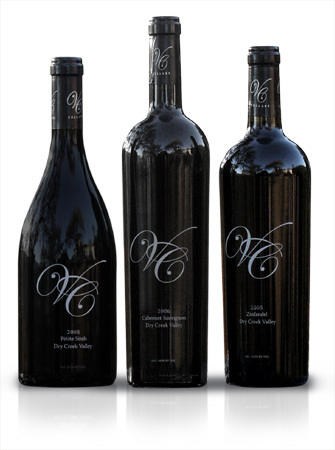 Box 737, Geyserville, CA 95441 - 707-431-1033 - Produced by VC Cellars. Good wine. Good Price. Great Cause. If you have questions or comments about our wine, or would like to schedule a private/trade tasting, please contact us by phone or email, listed below. Victor and Cindy Trentadue have been longtime ranchers and vineyard managers in Californias famed Dry Creek Valley. Besides chasing after Abbey, they operate Four Seasons Vineyard Managment, which oversees 422 acres of grapevines throughout Sonoma County. 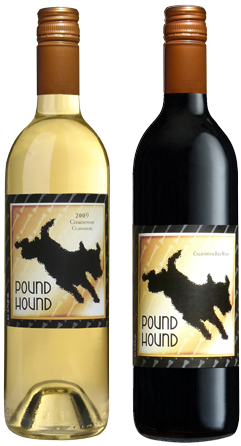 POUND HOUND RED and POUND HOUND WHITE are joined on the shelf by Vic and Cindy's acclaimed Dry Creek Valley Zinfandel, Petite Sirah, and Cabernet Sauvignon under their VC Cellars label.